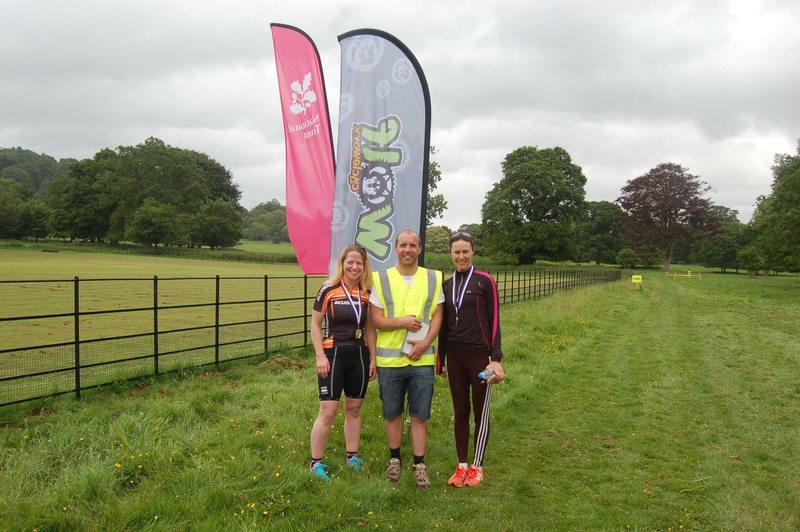 June kicked off with a new race, the Killerton Duathlon which took place on Sunday 4th June. More than 100 participants took part in the race either individually or in relay teams of two. The sprint race involved running the grounds of Killerton Estate over 5k, followed by cycling 20k to Cullompton and back and finally the second running leg of 3k. Well done to Helen Kirby who entered as a relay team with friend Heather Mayne and won the women’s relay and beat the mixed teams to win overall. Also taking part was Alan Ledger who finished in 8th position. A great days racing from Helen and Alan. 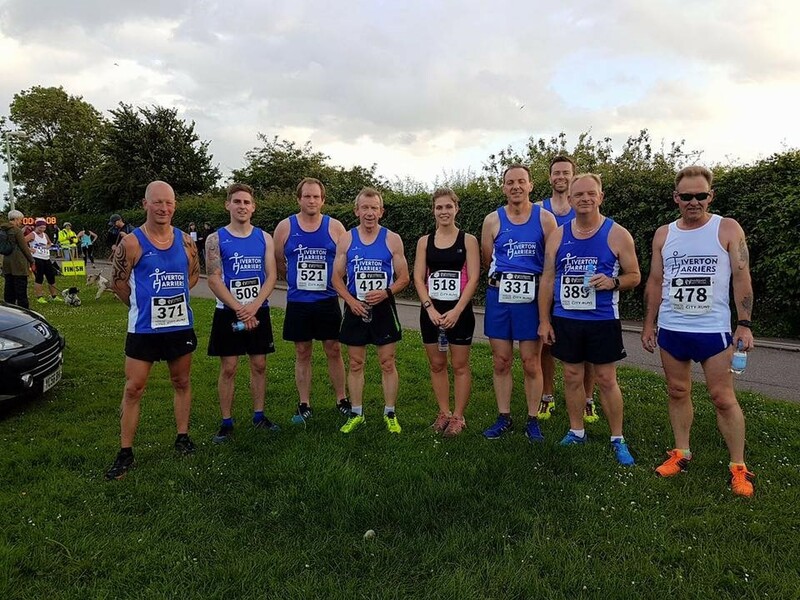 The third round of the Run Exe Summer 5k Series took place on Tuesday 6th June with a great turn out from the Harriers. Welcome to new Harrier Aby Sampson, Aby joined the Harriers a couple of months back but this was Aby’s first race as a Harrier. Jamie Tinniswood raced home to first place in the Woolacombe 10k Beach Run on Sunday 11th June. This course follows the beach up to Putsborough, then follows a short up-hill section. From there a path through the dunes takes the runners back to the beach, for the return leg to the finish. A great run from Jamie who finished in 41.03 which was 45 seconds faster than last year. Richard Potter completed the Bristol Harbourside Triathlon, also taking place on 11th June. Richard took on the Olympic distance which involved a swim of 1.5k, 40km cycle and 10km run. The swim took place in the Cumberland Basin, part of Bristol’s historic Harbour and adjacent to the Brunel Lock with the cycle route under the shadow of the famous Clifton Suspension Bridge and finally a run along the towpath by the Avon Gorge. Richard finished in 118th place in a time of 2.35.04 (swim 30.55, bike 1.15, run 43.17). Also on this day, five Harriers took part in the East Devon Way Relays, organised by Axe Valley Runners. This is a 39 mile race split into 12 legs of varying difficulties and distances, the total ascent for the race was 5,000ft. The Harriers team came second place in a total time of 5.25. Well done to the team which consisted of Kerry Roberts, Simon White, Ben Stone, Chris Gill and Graham Willis. And lastly for 11th June, James Morrison was up in the Lake District running in the Howtown Fell Race. This race is described as an enjoyable route in the far eastern fells. After a steep start up to Loadpot Hill there is some good grassy running to the summit of High Raise and then a superb trail to Place Fell with fine views down to Patterdale. After dashing off Place Fell there is the small sting of Hallin Fell before the finish. James completed the 13.3 miles and 4,593ft of ascent in 3hrs01.53 placing him 28th. James was in action again on Tuesday 21st June, this time in the Mendips for the Beacon Batch Fell Race. This was a 5 mile, 1000ft ascent race which James completed in 44.55 which place him 29th out of a field of 104. Sunday June 25th was the Torbay Half Marathon and 4 Harriers took part. The route starts and finishes on Paignton seafront, taking in the stunning coastal views across Torbay. Starting with one lap of Paignton Green before heading towards Torquay and finally returning to Paignton. Congratulations to Serane Stone on a fantastic run and first lady home. Well done to all who ran. Huge well done to Graham and Richard. Also on the 25th June, James Morrison was back on the fells, running in the Tour du Calch Fell Race in Wales. The course was 8 miles with 2,000ft ascent and James finished in 1.30.20, finishing off a great month of fell running from James. Well done all, great running.